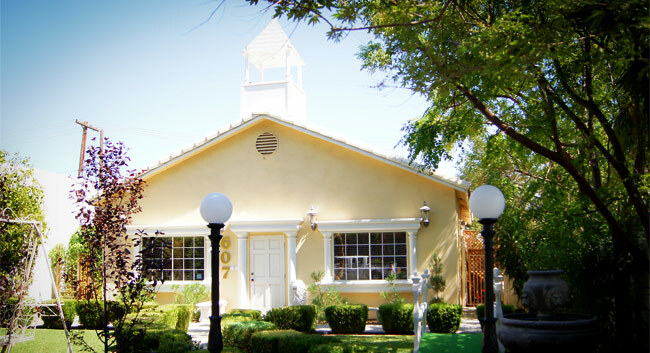 To salute our nation’s military and their brides-to-be, Mon Bel Ami Wedding Chapel in Las Vegas NV is extending our popular 10% military discount on destination weddings to be available year-round – with no expiration date (Saturday weddings are excluded from the offer). 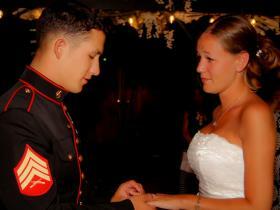 Mon Bel Ami’s 10% military wedding discount is available to all active duty service members and their brides or grooms, and valid on the “Elegance” and “Exquisite” Las Vegas wedding packages. 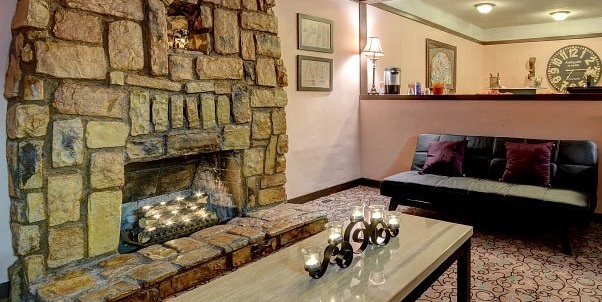 NOTE: this discount can be used in conjunction with our Free Package upgrade that is available to any couple. 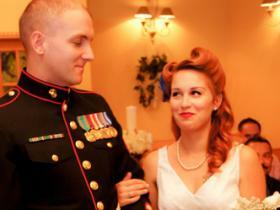 Mon Bel Ami originally launched our military discount on Veteran’s Day 2010 for weddings through Veteran’s Day 2011. The feedback was so positive from military couples that we extended the discount to be available year-round. It is just our special way of saying thank you for your service. 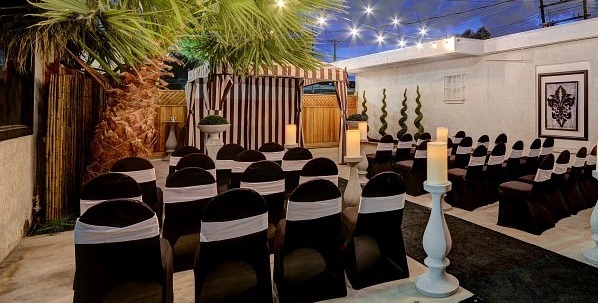 Mon Bel Ami provides an intimate and elegant Las Vegas wedding experience. Our wedding coordinators will guide you through the planning process fromstart to finish to create a wedding day that’s perfect in every way. All of our Las Vegas wedding packages can be fully customized to meet your every need. 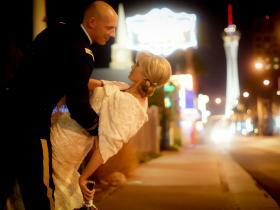 To take advantage of our Las Vegas military wedding discount, call us today (702) 388-4445 or (866) 503-4400. Get married or renew vows in our chapel or gazebo with music, coordinator, hand-tied red or white rose bouquet and matching boutonniere, ceremony video/DVD, twelve professional ceremony photos and posed photo shoot, unity candle, bridal “first look” and more. Add candlelight and rose covered aisle runner in our chapel or gazebo with music, coordinator, hand-tied rose bouquet, matching boutonniere, ceremony video/DVD, fourteen candid professional ceremony photos, unity candle, bridal “first look” and more.